Congratulations to Noel Ovenden and Winston Michael were both re-elected in their Wards. 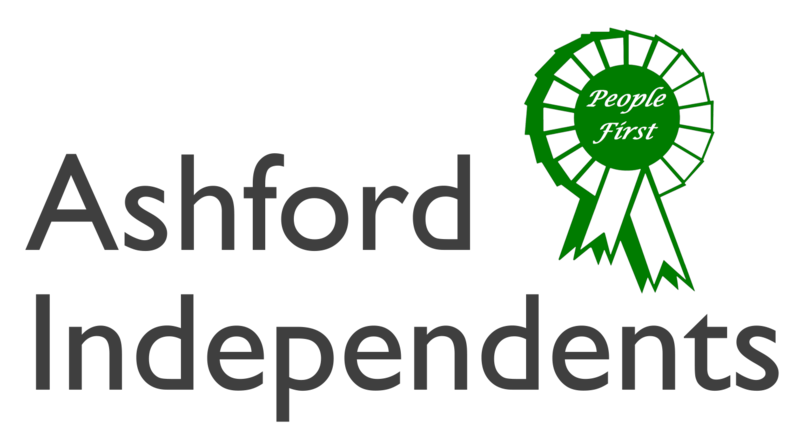 Following the Election Independent Cllr David Smith (South Willesborough) having shown interest was invited to join the Ashford Independents, bringing the Councillor group to three. Ex-Cllr Peter Davison has resigned from the position of Party Leader and becomes Chairman of the Ashford Independent Association. Ex-Cllr and past Mayor Mrs Palma Laughton MBE becomes President of the AIA following the retirement of Mrs Betty Turner, wife of ex-Cllr and past Mayor Gordon Turner. Subscribe to support our fight to keep national party politics out of local decisions. Printed and published by Peter Davison and Noel Ovenden on behalf of the Ashford Independent Party.